How to create a working project with React and Material-ui? I’m trying to build a project from scratch (no framework) with a blank template. Then I’m attaching JS Components React and material-ui. Should this work out of the box? 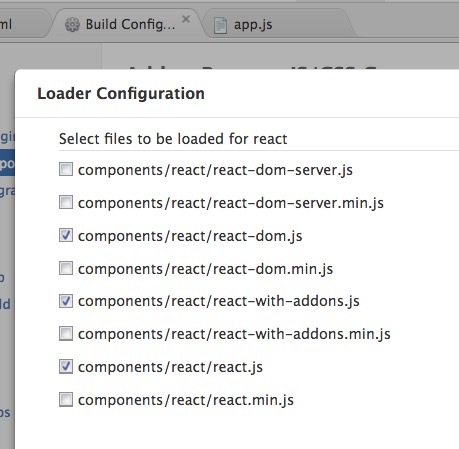 I don’t see how the components loader is going to kick in. Should I add something my self? Are there any examples how to build custom projects with various JS components? I understand that using React with the online tool is not possible. I’ve set up a blank project with Local CLI but what I still don’t understand is how to add js libraries. Normally I would config webpack with babel to compile react, es6, css, ui libraries etc., but Monaca is already running a webpack instance. How do I solve this? @beebase You just need to import your libraries normally in your code from node_modules for example. Webpack will bundle them.